Let’s be honest, if there was a trick to instantly boost your Instagram engagement overnight, most of us would be first in line. As such, you’ve probably heard a lot about Instagram engagement pods recently—everyone seems to be in one or talking about one. Usually they’re either raving that pods are the best thing ever, or they’re writing pods off as a useless trend. So in the name of science (and the Hootsuite blog), I tried a few Instagram pods myself to see if they really work. Wait, what’s an Instagram engagement pod? An engagement pod is a group (or ‘pod’) of Instagram users who band together to help increase engagement on each other’s content. This can be done through likes, comments, or follows. Whether you’re looking for something more general, or even something exclusive, chances are there’s a pod to cater to it. The amount of people in each pod can vary. There are often pods with over 1,000 active users, and ones that have 50 or fewer active participants. There are also a few other rules you’ll come across, such as having a certain amount of followers before you can join, what kind of content you post (e.g. wedding photography, baking, lifestyle, etc. ), and how much time you have to fulfil your engagement requirements (anything from one to five hours usually from the time that the content is dropped). Why would I use an Instagram engagement pod? Instagram changed their algorithm from showing content in the chronological order they were posted, to highlighting posts it believes you’ll care about based on past behavior. The algorithm also prioritizes content from accounts that already have high engagement. To get around this, pods help users generate engagements and follows. In theory, this should work—the more likes or comments you have on a post right away, the more you signal to Instagram that your content is engaging. So the next time you post, your content should automatically be served up to more of your followers. It can seem like a daunting task to both increase follower numbers and get engagement on your posts too, so these pods are seen as an attractive way of bumping up your numbers. To be honest, I tried, and it’s not easy. Actually, let me rephrase that, joining a quality pod isn’t easy. I’ve found that pods can generally be broken down into two distinct groups: the mass pods that have over a 1,000 members and are easy to join, and the small, niche pods that generally have 20 people in them max, and are hard to find. There are a multitude of places you can find pods. Facebook and Telegram, an encrypted messaging app similar to Whatsapp, are the most popular. I found googling “Telegram Instagram engagement pods” usually gave me websites that contain a list of the bigger groups that I could join. Telegram is a good place to find mass-pods of a 1,000 or more users, although there are smaller, more exclusive pods on this platform too. Facebook also has a lot of groups that you can join. However, unlike Telegram, these are often closed and require an invitation to become a member. Your content is also vetted to ensure you make the grade. They don’t tend to ‘drop’ or exchange their Instagram content on the platform itself either. As Facebook is Instagram’s owner, they don’t want to potentially flag themselves as users who are ‘gaming’ the system. Reddit has a subreddit—IGPods—where you can find pods that are calling for members, or even put a call-out for members if you want to start your own. These pods will often live within Instagram’s messaging system. Members will message the rest of the group to say that their new content is live, and the rest of the pod is required to go through and like and comment. And finally, of course, there are pods that start within Instagram itself. I have come to see these as the ‘White Whale’ of engagement pods, as they’re very difficult to find, and very difficult to get invited to. More often than not, users don’t want to admit that they’re using pods, so it’s a bit of a game of hide-and-seek, and gentle prodding to see if you can get an invite. Turns out, it’s very easy to get banned and kicked out of an engagement pod. On my first day of testing out these pods, I overestimated my ability to keep up with my side of the engagement bargain. Both of these pods had over 2,000 members. That doesn’t mean that each member will be active in every drop, but with that many members the participation number is often very high. When the drop is over, an automated bot will send you a list of everyone who is participating, with the recommendation to copy and paste all of the handles into an Instagram message to yourself to make it easier to click-through. Both of these pods had the rule that all likes must be done within an hour and a half, otherwise you’d be warned or banned for leeching. I frantically copied and pasted the lists—a task that took 15 minutes alone to do. Then I went on a big liking spree. I didn’t even finish half of one pod before the allocated hour and a half was up, and I got kicked out of the other. Luckily for me, the automated admin messaged me and told me that I could buy my way back in for $15. This was an offer I didn’t accept. The results have been a mixed bag. I tried a variety of different pods—the mass ones as I mentioned above, smaller pods with around 100 members, and finally a couple of small pods that I found via Reddit. On average I received between 40 and 60 likes on content that I posted. I used hashtags and did a small amount of outreach when I posted to help boost the content’s engagement. Last of the amazing sunsets before the rain sets in… ???? Also, before the experiment, my follower number was sitting around 251, give or take, with comments on my posts being rare as well. I’m not a prolific poster on Instagram. I generally post three to four pieces of content a month if it’s been a good one for photos. But for this experiment I tried to post every day. The mass-pod gave me an instant injection of likes. As I mentioned previously, I joined two of the pod drops and ended up with 749 likes—an incredible increase of 1398 percent. But now I had a problem: the number is so abnormally different than what I usually see on my content, so it looks fake. I also didn’t see an uplift in followers, which suggests that my page as a whole wasn’t being looked at either. Just because I’m not cliché enough on my account. Here’s another of Joffre Lake… ???? I know from my personal experience of trying to get through the list sent to me that I didn’t look beyond the latest post, so I knew that other users wouldn’t be “enjoying” my content either. They were merely getting through the list themselves, or they were using their own bot to do this for them. I decided to look for other pods that didn’t have such a big undertaking to be part of them. I found pods that required participants to like and comment on the last five drops, before posting their own content (or some variation of this rule, such as liking and commenting on everything from the last 24 hours). In theory this should increase both your comment count and like count by and average of five. I found this to be hit and miss though—I did see an increase in the number of comments, but overall likes didn’t change much. Also, checking back into the pod that I dropped in, I could see that there were a few people who posted after me that were definitely leechers. Throwback to sunny days ???? Finally, I joined a couple of smaller pods that I found on Reddit. These were simple to get into, and as soon as I was added I went back as far as I could—commenting, liking, and following all members to show that they had added me in good faith. Both of these pods were laid back, with no real rules apart from “don’t overpost, and stay active and on top of your engagements.” A lot of the members shared similar content to my own, so I didn’t feel as though I was ‘faking’ my interest in their content in order to boost my own. I let my posts sit for a while to see if organic engagement would increase as a result of my pod work, but I didn’t see any meaningful results. My follower numbers and comments increased—8.7 percent and 700 percent respectively, but as my average comment number before the experiment was between zero and one, this increase wasn’t dramatic. Similarly, likes haven’t really seen a dramatic increase. Misty mountains of Vancouver ???? However, it’s important to bear in mind that this experiment was done over a short period of time. I’m currently still active in the two small pods that I found via Reddit—so this could have a long-term impact on my overall engagement. Should brands use Instagram engagement pods? It’s time-consuming. In my short experiment I spent a lot of time (on average three to four hours per day) just looking for pods to join. Each day I was trying to find new ones that I could become a part of, all while keeping up with the pods I was already active in. It would take at least one dedicated member of your team to keep on top of everything that’s going on in order to get benefits from using a pod—unless you buy or build a bot to deal with this for you of course. It doesn’t produce meaningful results. This is especially true of the bigger pods. Other people in these pods aren’t interested in you or your content—they’re there for themselves. Brands should be using social as a meaningful way to connect with their audience and build relationships that drive sales and brand loyalty. While pods may increase your reach and engagement, it’s not with the right people, i.e., potential customers. Brands might want to consider Instagram pods when it comes to choosing influencers to work with. If an influencer is using pods to inflate their numbers, this means that you might not get as much (or any) value out of a partnership. Take a close look at their content—did they see a sudden spike in engagement? Is their engagement rate consistent throughout all their posts? Does their comment to follower to like ratio look legit? The results will look suspicious. Any current or new fans coming to a brand page that’s used a pod will see that it’s been very obviously manipulated. Especially if your follower numbers don’t explain the high level of likes or comments. This could be off-putting to genuine fans of your page or product, as they most likely want to have a transparent relationship with brands they choose to follow within their personal channels. You have to like and comment on content that’s not relevant to your brand. Unless you’re in a niche pod where the quality of users is higher, you’ll often have to engage with content that’s of low-quality or has nothing to do with your brand. Your interactions can also been seen by your followers, so you have to consider their reaction to the random content you’re engaging with. Although, with the larger engagement pods, you can mask your activity by setting up a fake account to ‘engage with’, but use your real account to have the others from the pod ‘engage on’. But by then you’re at point #1 again (is it worth the time?). Instagram’s algorithm is probably smart enough to figure out what you’re doing. Instagram (and by extension Facebook) spend a lot of money and time optimizing their algorithms and watching how their users are engaging on the platform. A sudden spike in your engagement is likely to flag in their system, and so it could result in detrimental treatment to any organic content you choose to post in the future. If you work hard to gain access to a niche pod that’s connected to your brand, this could work in your favour. This is especially true if you’re a small or new brand looking for ways to connect with your audience. You can learn from them what your target audience is looking for, as well as find ways to improve your content. Much like the niche pods, small pods can also offer a more genuine engagement experience—many of them could be open to giving you tips on your content if you’re in a pod of like-minded social managers. So there you have it—the real truth behind Instagram’s engagement pods. Although they can look like an alluring quick-fix to help bump up engagement on your Instagram channel, it’s a good idea to do some research to get the full picture on whether or not they’d be useful for your brand. And remember: if you’re an influencer, artificially inflating your engagement is probably fraud, similar to buying followers or likes. Don’t feel like engagement pods are for you or your brand after reading this? We’ve got lots of content to help you organically build your following on Instagram—from simple ways to get more Instagram followers to quick tips to up your Instagram game. Suffering from a lack of Instagram engagement? 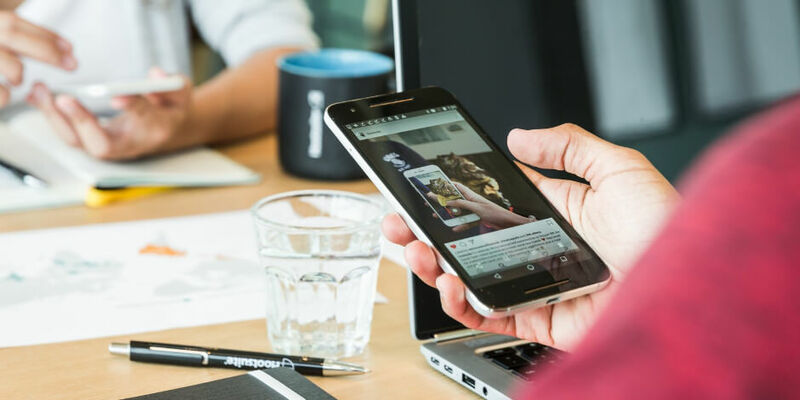 Hootsuite makes scheduling and publishing Instagram content—alongside all your other social channels—easy, so you can spend more time creating quality content, tracking your performance, and learning about your audience. Try it free today.